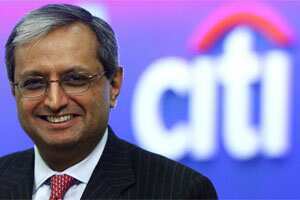 New York: Citigroup chief executive officer (CEO) Vikram Pandit has announced 4,500 jobs cuts worldwide in the coming months as the United States (US) financial major seeks to trim costs in a bleak global economic environment. The job cuts will begin this quarter and be completed “over the next few quarters" across a range of businesses, Pandit said at a Goldman Sachs Financial Services conference here. The company will incur a $400 million charge in the fourth quarter this year on severance costs and other expenses related to the job cuts. “Financial services face an extremely challenging operating environment with an unprecedented combination of market uncertainty, sustained economic weakness in the developed economies and the most substantial regulatory changes we have seen in our lifetimes," Pandit said. “These trends will likely significantly affect the competitive landscape in the coming years. While most of the job losses will be in Citi’s back-office and investment banking operations, almost every segment of Citi’s business will see a workforce reduction. Pandit said, “Our efficiency goal is to eliminate 3-5% of our expenses each year," equivalent to about $2 billion. “In fact, we generated $1.4 billion of cost reductions in the first nine months of 2011," he said. Citigroup reported revenues of $61.2 billion for the nine months ended September 2011. Its revenues stood at $86 billion dollars last year. Net income for the first three quarters this year stood at $10.1 billion, as against $10.6 billion for the whole of 2010. Pandit said tightening credit spreads will likely result in a hedging loss of roughly $300 million. Citigroup joins a growing list of financial and banking companies that are pruning their workforce to manage expenses in a weak global economy that some fear could be headed for another recession. Bank of America had in September announced plans to cut its workforce by 30,000 and slash $5 billion in annual expenses. Goldman Sachs, Bank of New York Mellon and some major European banks have also announced job cuts. Swiss lender UBS will downsize its investment bank workforce to 16,000 people by 2016, axing 2,000 jobs. Pandit said going forward Citigroup will “de-risk" appropriately, “containing exposure to Western Europe and managing legacy US mortgage portfolio to mitigate risk." It would build on a diverse and high quality consumer loan portfolio with a focus on faster-growing economies, he said.